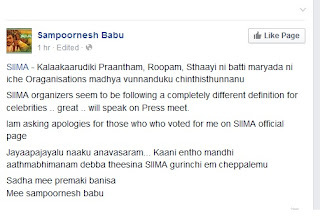 Looks like sampoornesh got hurt with the behaviour of SIIMA organisers. Its open secret in industry that people get respect based on their families and background. Ippudippude name tecchukuntunna Sampu ila open ga cheppatam nijam ga great. Hope the organizers and team release that they need to give respect to individual based on their achievements. 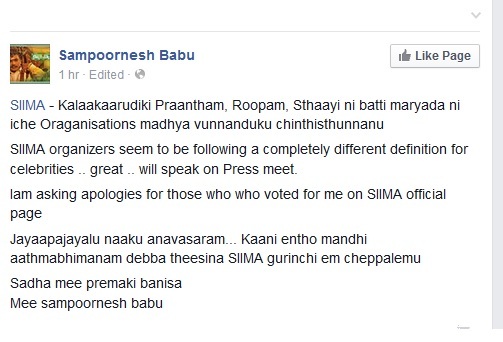 Way to go Sampoornesh babu. We support you in this matter.